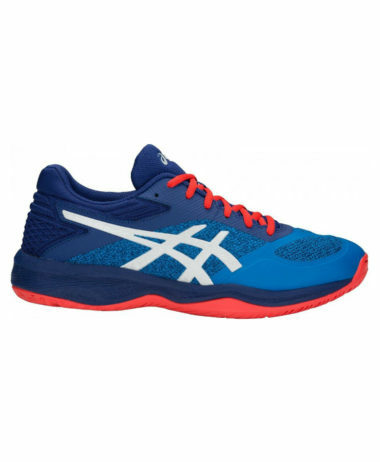 Indoor Court Shoe from the highly successful Rocket line from Asics. 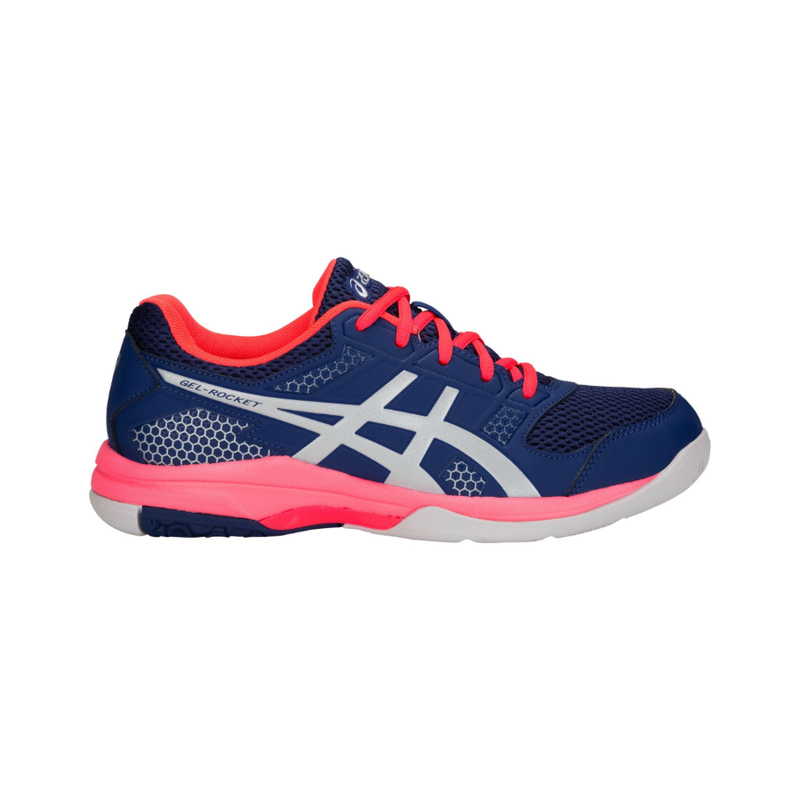 Designed for the demands of various indoor racket sports the Asics Gel Rocket Womens Court Shoes have a low-cut design for added mobility. 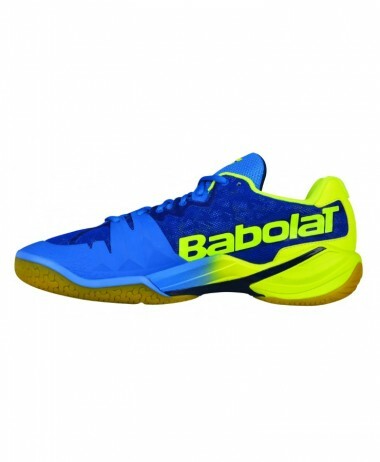 The mesh and overlay design provides high breath ability around the front and sides of the shoes. 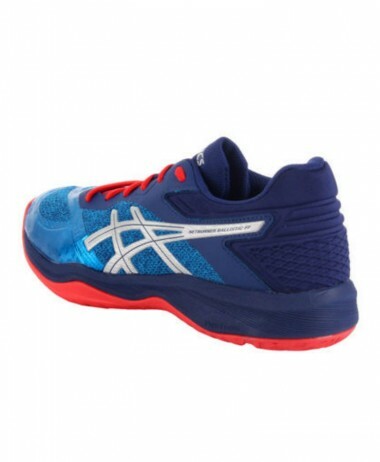 Forefoot Gel Cushion – Specialised silicone strategically located in the forefoot area provides optimal shock absorption and reduce the chance of injury. 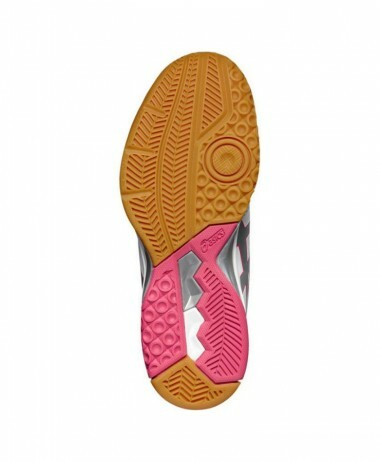 Trusstic System – a moulded component located under the mid-foot area provides stability and helps control torsion. 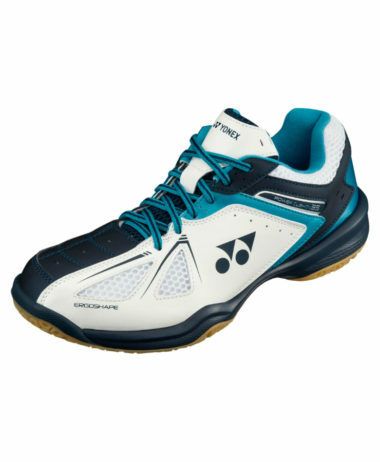 Removable Compression moulded EVA midsole – special EVA material located in the midsole area provides cushioning and improved bounce-back. 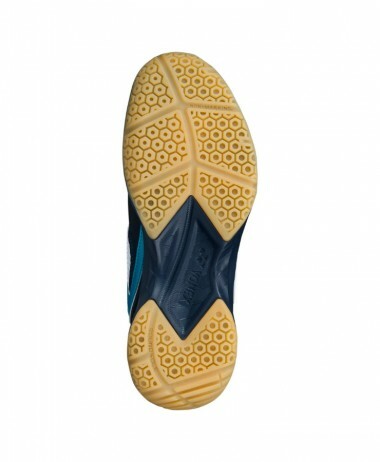 NC Rubber Outsole – compound rubber outsole provides greater traction than traditional rubber outsoles. 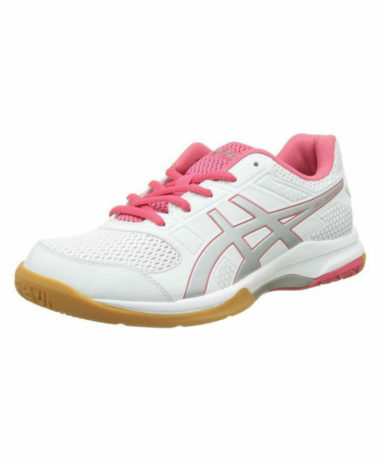 California lasting – A different sole shape that provides added stability and comfort. 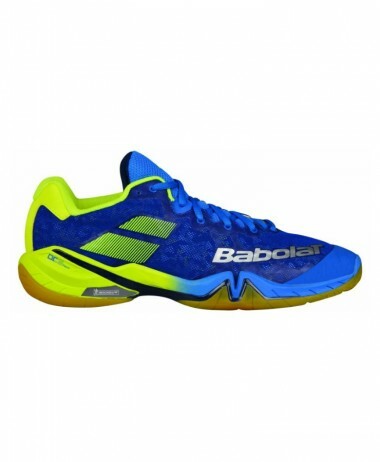 PURE RACKET SPORT is the best shop in Surrey for BADMINTON, SQUASH and RACKETBALL footwear. We have a large range of Thorlo socks for you to try on when you fit your shoes. 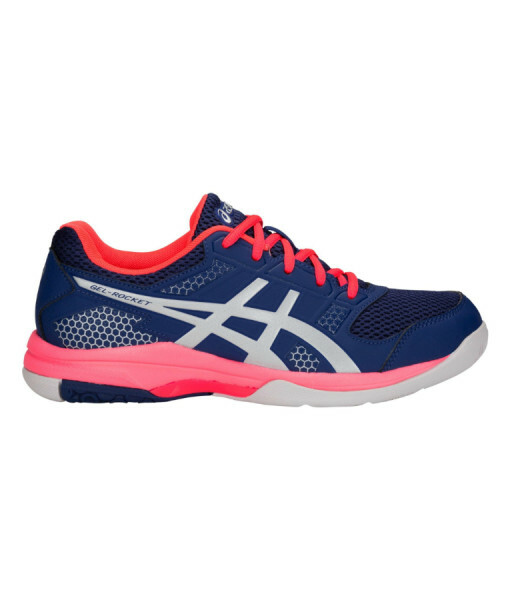 (highly recommended but only a couple on this website) and foot supports. 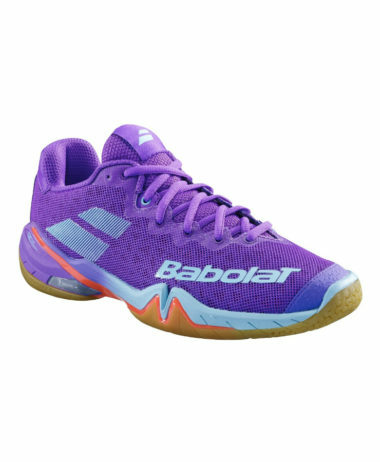 The aim is comfort and support and choosing a shoe that will give you the wear-and-tear you need dependent on how often you play – once or week or 4 times a week – different shoes survive better. 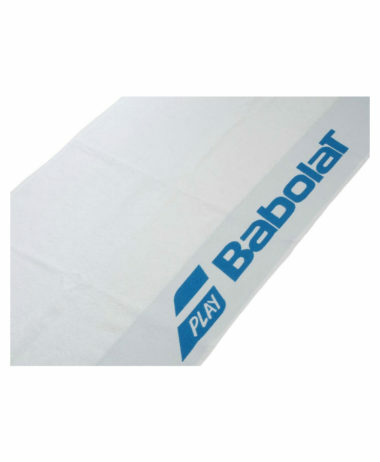 Always helpful service and lots of deals ! Free private car park right outside the entrance – open 7 days a week year round. 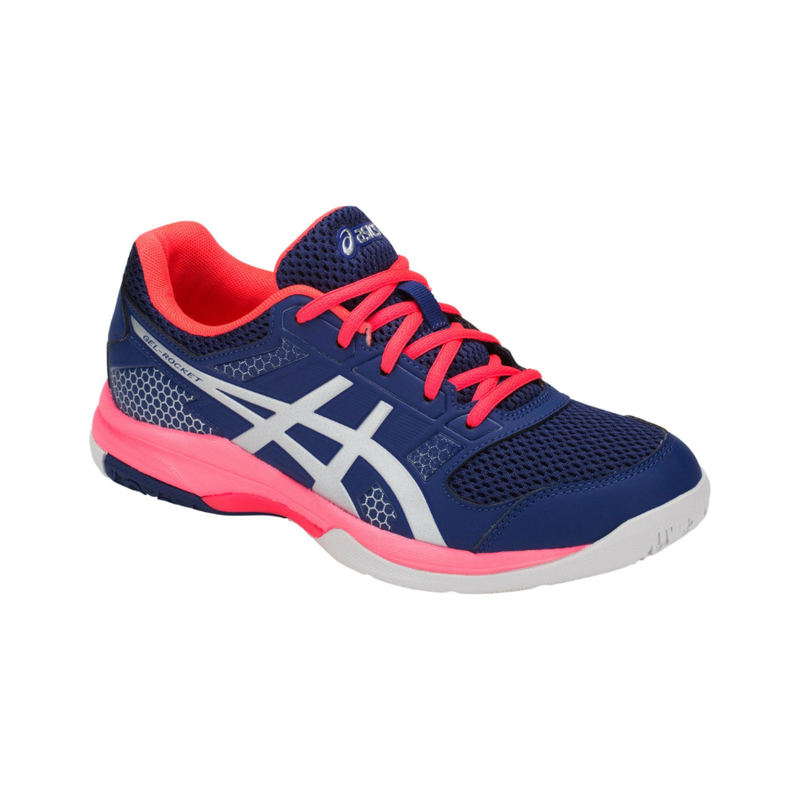 SKU: N/A Categories: Badminton, Ladies Badminton Shoes, Ladies Squash Shoes, Racketball, Racketball Shoes, Squash Brands: Asics.